A very nice turnout. 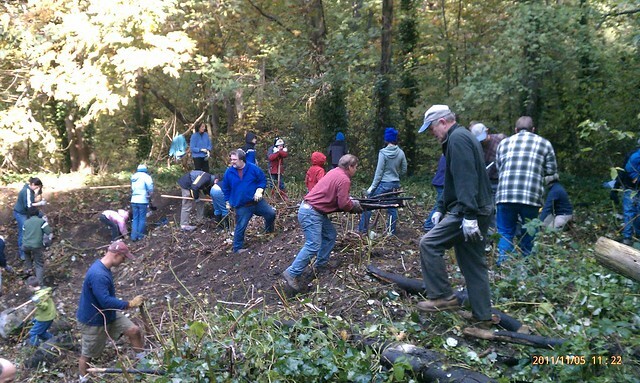 Lots of people worked away, we cleared an entire slope. Muddy fun, but I'm very tired right now. Everybody managed to look industrious for the camera, I see. They didn't even know I was taking the picture! I was just glad it was more than butts, which is what I seem to get in pictures of North Beach Park work parties.